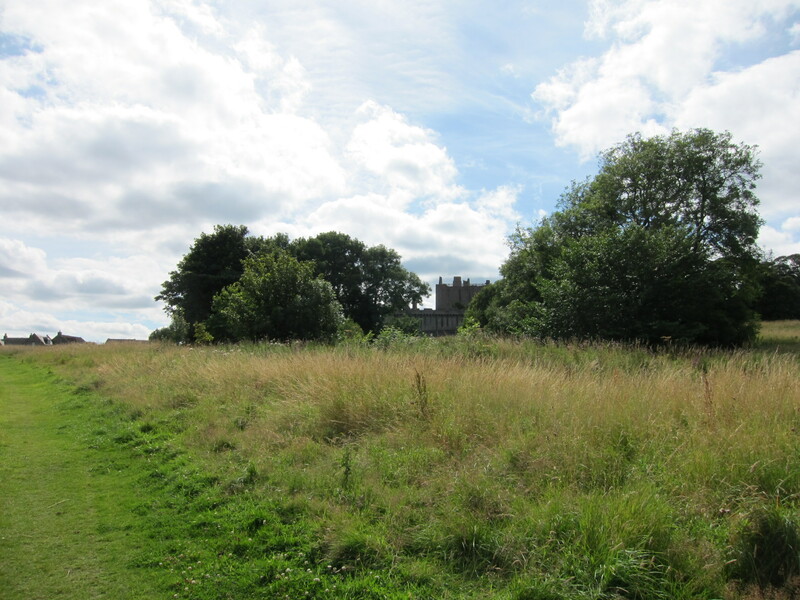 To plagiarise from an interpretation panel at Craigmillar Castle (it’s ok, I wrote it myself many years ago): ‘In 1566 the French ambassador described Craigmillar as ‘a league distant from Edinburgh’. Measuring about 3 miles, a league is the distance a person could walk in one hour’. What I didn’t say on the panel is that this then makes Craigmillar about 15 minutes away by bike! 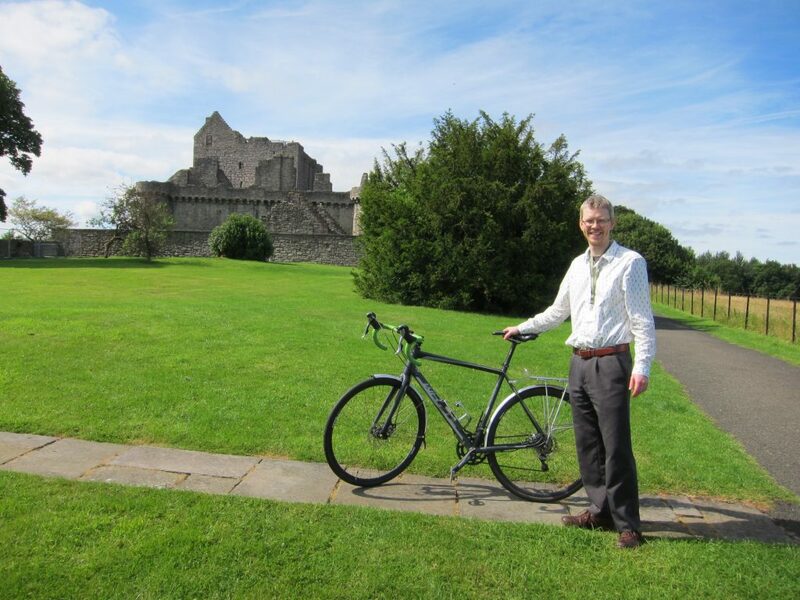 While I usually don my lycra and clippy shoe outfit for cycle trips, Monday was such a brilliant sunny day that I popped out to Craigmillar Castle at lunch in my office ‘smart-casual’. Starting from our headquarters on Salisbury Place I cycled to Holyrood Park and then down the Innocent Railway path until it comes out on to Duddingston Road West. 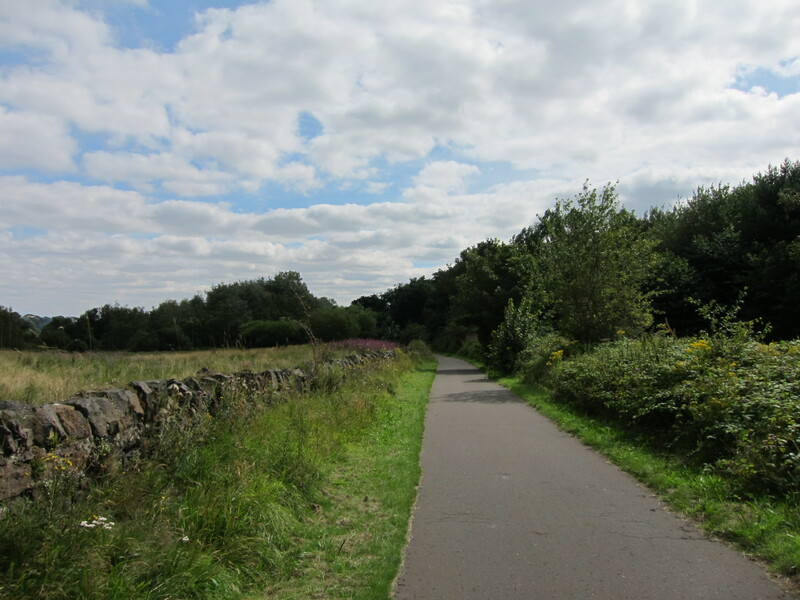 Now here apparently there is a cunning way you can cycle along the back of an industrial estate avoiding the Peffermill Road/Niddrie Mains Road junction, which is not that pleasant on a bike, and pop up on one of the Craigmillar Castle Park paths. However, I’d not gone this way before and mucked it up. I did arrive at the park, but took the wrong path and ended up on some bumpy grass bits — fine on a mountain bike or hybrid, but a little irritating on my road bike. Opps I shouldn’t be on this path, but there’s the castle! If, like me, you’re not brilliant at directions and you’re not that confident on a busy road I’d recommend just walking along the pavement to the junction and over. Once you’re over the junction there is an enjoyable cycle path through the housing estate to the park, and then a nice bit of black-top through the park right to the castle. Check out the route here (please note the wee last jog before the castle isn’t there in real life — there is a straight path to the castle). However, as I said, I mucked that up and just cycled through the park in generally the right direction until I saw the castle poking through the trees! A nice solid bicycle stand. Once there I locked up my bike to the stand and, after introducing myself and getting the steward to take a photo of me to prove I was in normal clothing, had a quick climb up to the top of the castle. 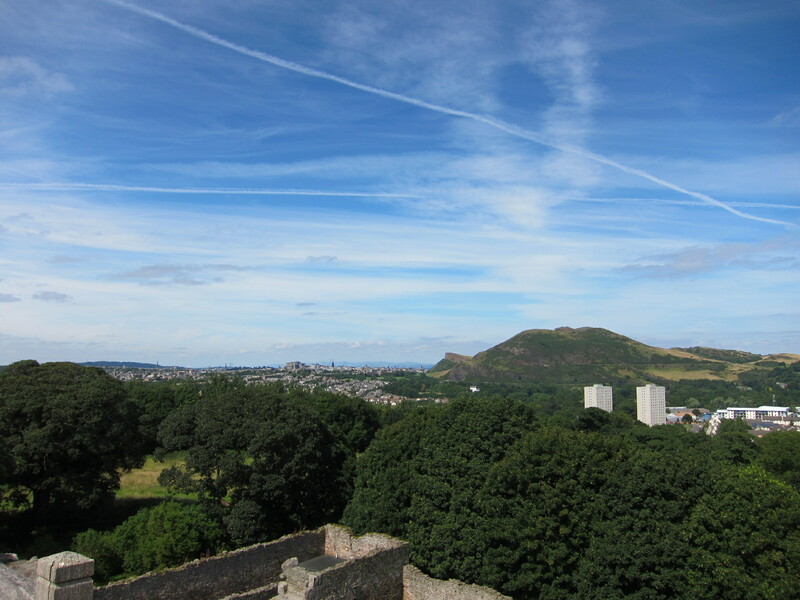 What a view, and what with 15 minutes there and 15 minutes back I’m thinking I might take my lunch hour at Craigmillar Castle more often in the future. What an amazing view from the top of the castle! 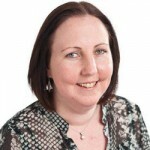 Christine mentioned that they get a lot of cyclists at the castle now, and that Edinburgh Bike Tours often lead people out there. 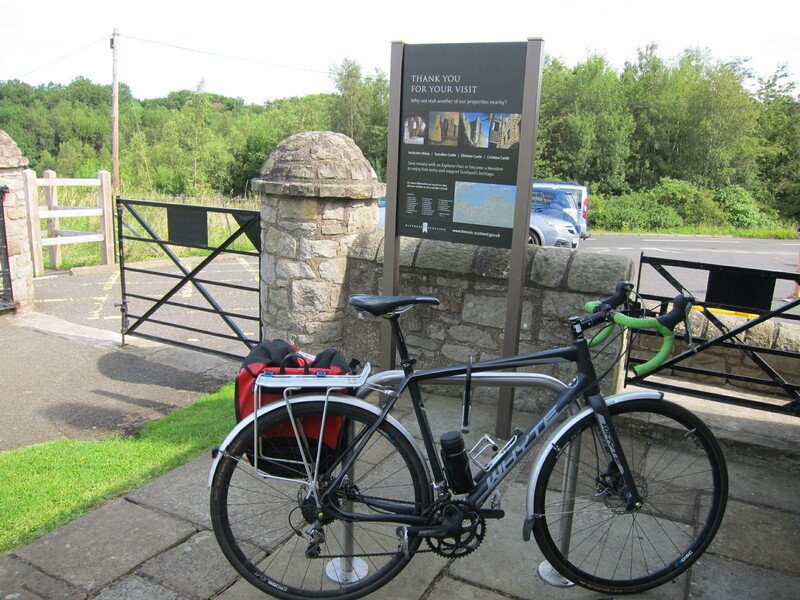 If you fancy cycling to Craigmillar Castle then you might want to do it on the 27 August. We’re holding a Craft Skills Festival from 10am to 4pm. And Dr Bike from the Edinburgh Bike Station will be on hand from 12pm to 3pm to give your bike a free check-up. 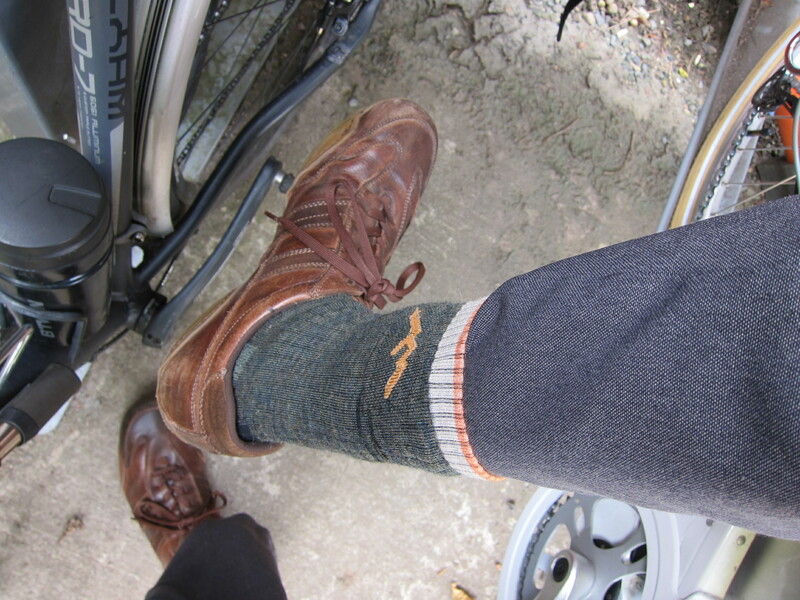 And stay tuned as we’ll post another one of Gareth’s bike blogs soon to celebrate Climate Change Week.